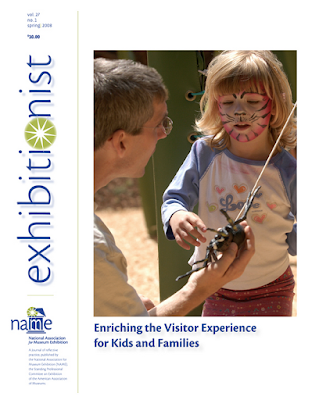 Exhibitionist is a "journal of reflective practice" published by the National Association for Museum Exhibition (NAME) in the Spring and Fall of each year. Exhibitionist is also one of the best, if not the best, museum-related journals available. Exhibitionist features thought-provoking articles on exhibition theory and practice, exhibition critiques and commentary, book reviews, technical articles, and other essays of interest to the profession. 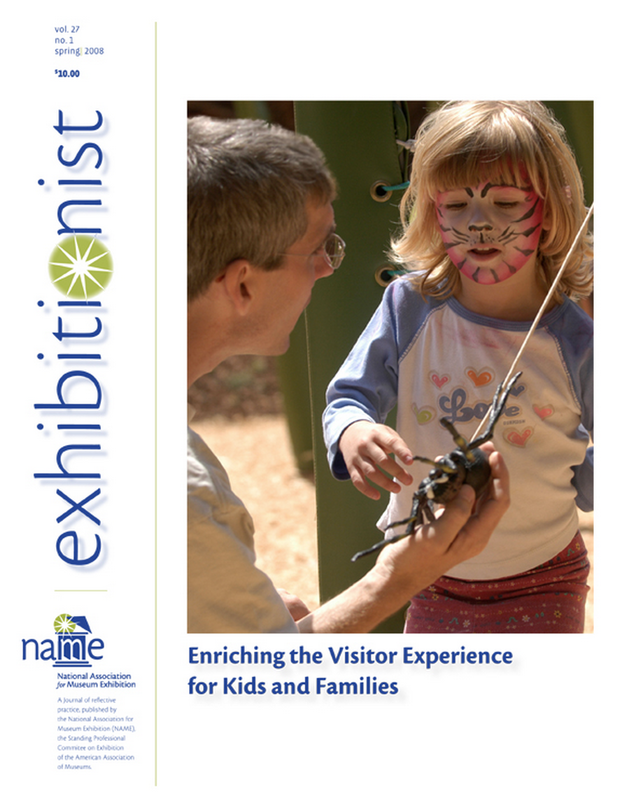 As a former board member of NAME, and current columnist for Exhibitionist (check out this free sample of my "Exhibit Newsline" column) I urge you to help keep yourself informed on what's happening in exhibitions, and in the broader museum field, by subscribing to Exhibitionist ! You can also download free examples of past articles (and in some cases entire past issues!) of Exhibitionist by heading over to the Exhibitionist Online webpage. You are now able to subscribe to Exhibitionist without being a member of either AAM or NAME. So what are you waiting for? Click on over to the Exhibitionist subscription page right now! Don't miss out on any ExhibiTricks posts! It's easy to get updates via email or your favorite news reader. Just click the "Sign up for Free ExhibiTricks Blog Updates" link on the upper right side of the blog. If you'd like to find out more about working with Paul Orselli, click on over to the POW! Website.